Zimbabwe’s largest platinum producer and exporter, Zimplats Holdings (ASX:ZIM) has agreed to sell a 51% stake to “indigenous entities” for $971 million under Harare’s controversial black empowerment laws. Zimplats, majority owned by South African Impala Platinum (LON:IPLA), the world's second-largest platinum miner, said it would retain a 49% interest and management of the operating subsidiary, Zimbabwe Platinum Mines. Under the deal, Implats will transfer its stake to Zimbabwean investors as follows: 10% to the community, 10% to Zimplats employees and 31% to the state-controlled National Indigenisation and Economic Empowerment Fund. All shareholders will be required to contribute on a pro-rata basis for any future equity issues to finance expansion at the group’s mines. A recently published paper by Zimbabwe’s Research and Advocacy Unit questions whether it was legal for Implats, as the owner, to lend money to indigenous shareholders for the purchase of its own shares. There will be repercussions at national level too. When minorities are taken into account Zimplats is at least 90 per cent owned offshore, the transaction implies an increase of $971m in Zimbabwe’s $12.5bn external debt, more than half of which represents arrears. 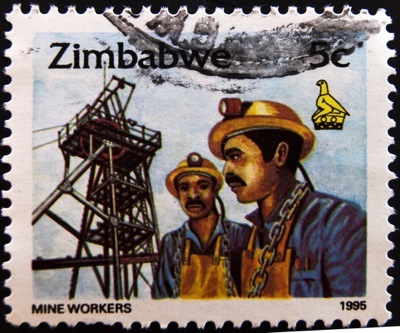 In 2010 President Robert Mugabe created the so-called "indigenisation" law, which calls on international mining companies to transfer 51% stakes to local investors or risk losing permits by September last year. Firms that did not meet the deadline are under state control since April last year. A study released Wednesday warned that expropriation and resource nationalism will remain the main risks for mining companies in 2013.